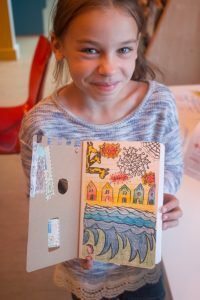 Get ready for summer adventures by creating your very own travel journal! Make and decorate a journal or mini notebook with stamps, stencils and collage. Recommended for families with children aged 8+.